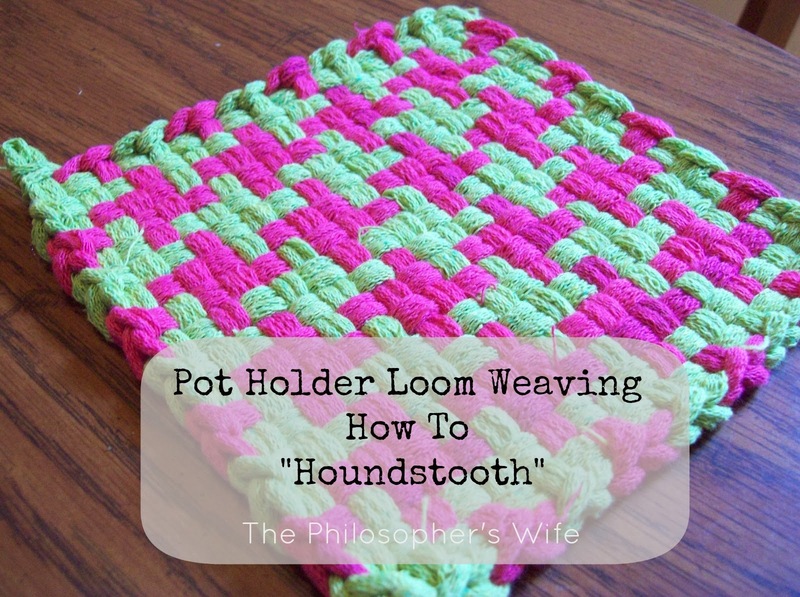 The Philosopher's Wife: Pot Holder Loom Weaving How To -- "Houndstooth"
I've told you before how much I love making pot holders, so I decided to share the joy and show you how to make a Houndstooth pot holder. One of my favorite patterns to make on my loom is this simple version of Houndstooth. I have also seen it referred to as a pinwheel. Whatever you call it, this patterns looks classy and is super easy to make. This pattern uses two colors--I am using pink and green. Alternate two loops of green then two loops of pink across. 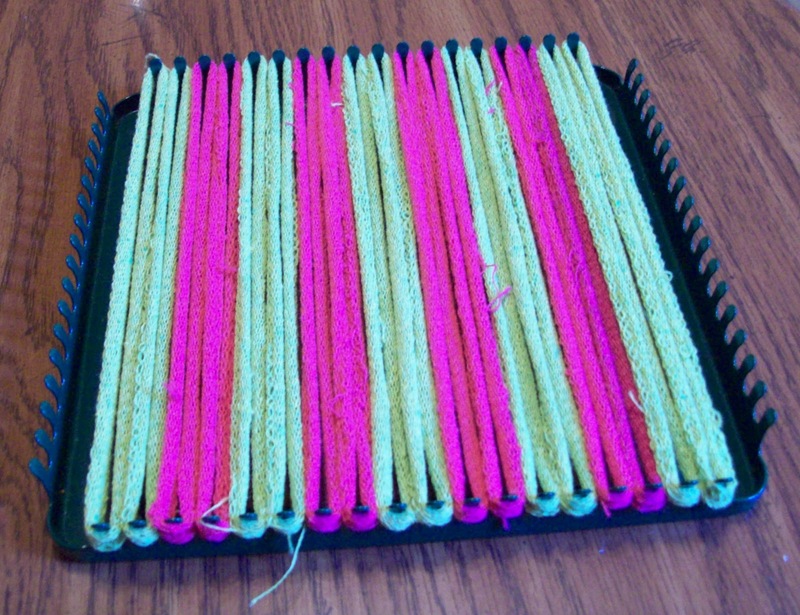 It can be helpful to hold up the loom and just focus on the sides. two green and then two pink across. to remove the loops and begin again. UPDATE: I've had a couple people ask what loops I use. I highly recommend these loops. 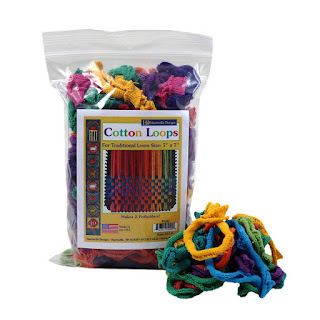 They are 100% cotton, extremely durable, and can be used to make functioning pieces. This post was a feature! Check out all of these awesome places I like to party! I love hounds tooth. Thanks for linking up at Burlap & Denim. I've never seen one of these before - they look like great fun! I'd love to try one sometime! It really was one of those iconic girls toys, wasn't it? I have to admit I might be enjoying "playing" with it now more than I did then! Love it! 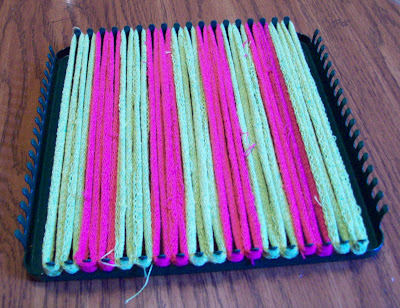 I keep wanting to get one of the looms. Thanks! You should! They are so much fun. And relaxing. And you can start and finish a project in one quick sitting (for me--during C's naptime)! How cool! I had a weaving loom growing up, but I didn't know you could do cool patterns. Thanks so much for showing how! The houndstooth looks awesome! I'll have to show my daughter. 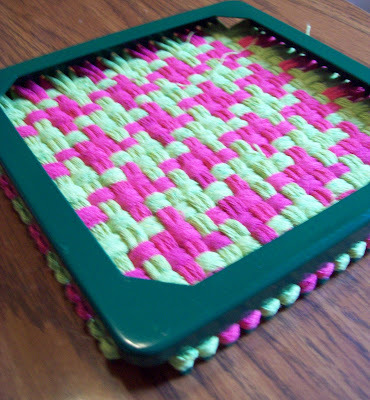 She loves making those potholders. I usually sew like 4 of them together though bc I'm always burning my fingers. I've also thought of framing them in my kitchen or making a banner. With a cute pattern like this I just might do that. Thanks for sharing! Thank you! 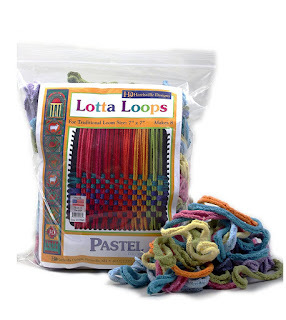 I'm curious, does your daughter use 100% cotton loops? They are WAY better than the blend or jersey loops out there. I use mine all the time and don't get burnt. The cotton loops are a little more expensive, but I think its worth it. I like the idea of framing some! 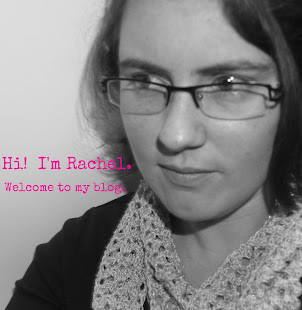 PS: I added a link to the loops I use--it is under the finished product picture. How cute!! Glad to have you at Things I've Done Thursday! So cute! Where do you get your stretchy fabric loops from? My daughter has a frame but the loops that come with it aren't heat resistant, and I'd like to find some that are, so we could actually use the pot holders that she makes? Thanks. Thank you for showing off this pattern. My 8 year old son loves to make these. He makes them to order and sells them at church. He made the houndstooth pattern yesterday and it turned out great! OMG...i remember doing these when Iw as little. I love them!!! Fun! 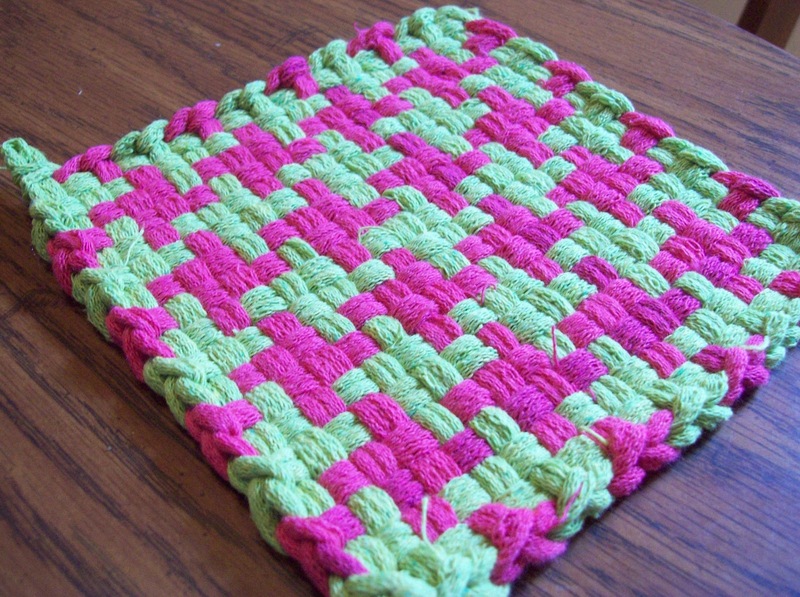 I used to make potholders all the time when I was younger, but never thought about adding a pattern like this. So cute! Stopping by from Family Ever After. Thanks for sharing! Love that design! Great job. Thanks for sharing at Terrific Tuesdays. Wow -- beautifully done! I remember making those when I was a kid, but never imagined you could make such sophisticated patterns! 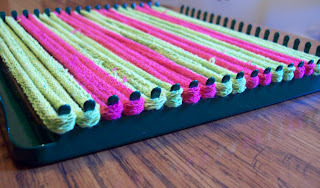 I use a crochet hook, I think a size K, and start with two loops on the hook in the corner and pull the loop farthest away through the closer loop. Then I grab the next loop with the hook and continue all the way around. Does that help? Love (!!!) The houndstooth pattern- looks really nice! I remember making these as a kid. They were lots of fun to make! My dad makes these all the time. He then fastens them together to make other things. I have a bag and a cover he made out of these.